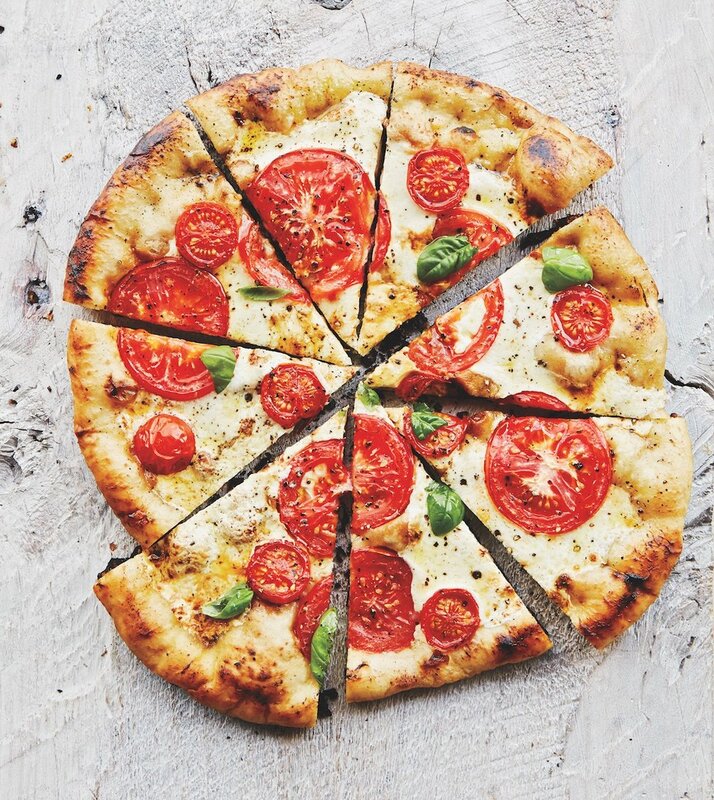 You won’t believe how simple it is to make pizza dough at home. And because the dough freezes very well (at least for a couple of weeks), it’s even practical to whip up a batch for one or two people and tuck the rest away for another day. 1. Combine the flour, yeast, and salt in a food processor. Turn the machine on and add 1 cup water and the oil through the feed tube. 4. When the dough is ready, form it into a ball and divide it into 2 or more pieces if you like; roll each piece into a round ball. Put each ball on a lightly floured surface, sprinkle with flour, and cover with plastic wrap or a towel. Let rest until they puff slightly, about 20 minutes. Proceed with any pizza recipe. Whole Wheat Pizza Dough: With a nutty flavor and a little fiber: Use 1 1/2 cups each whole wheat and white flour (all-purpose or bread flour). You’ll probably need to add closer to 1 1/2 cups water or maybe even a little more. Crunchier Pizza Dough: This dough may be a little more difficult to handle, but it has superior flavor and a pleasant crunch: Substitute 1/2 cup cornmeal for 1/2 cup of the flour.